The complex subpoena process has been underway for quite some time, and cooperation has been unofficially ongoing for weeks if not months, but today it finally became official. 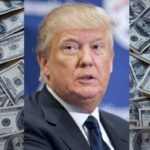 House Democrats from multiple committees fired off subpoenas today for Donald Trump’s records from various financial institutions, with a primary focus on his financial dealings with Russia – and it’s very likely these records will soon be turned over. We can say this because these financial institutions have already been cooperating with House Democrats when it comes to Donald Trump’s financial records. For instance House Financial Services Committee Chair Maxine Waters revealed in an MSNBC on-air interview weeks ago that Deutsche Bank had already begun giving her Trump’s records. So today’s New York Times report, which reveals that Waters’ committee and Adam Schiff’s House Intel Committee have both subpoenaed Deutsche Bank for Trump’s records, can be taken as a sign that this is what’s called a “friendly” subpoena. It’s commonplace for financial institutions to ask to be subpoenaed in these situations, so they have a legal basis for cooperating. In fact last week accounting firm Mazars asked to be subpoenaed so it could turn over Donald Trump’s records, and sure enough, Politico is reporting this evening that House Oversight Committee Chair Elijah Cummings just did precisely that. This comes after last week’s revelation that Capital One has been secretly cooperating with House Democrats since early March, and has also asked to be subpoenaed so it can continue cooperating. Today’s news may help explain why Donald Trump spent the weekend tweeting in a manner that was voluminous and frantic even by his usual standards. The fight to get Trump’s tax returns will take longer, because Trump’s Treasury Department may run interference for him for as long as it can. But the fight to get Trump’s financial records from outside financial institutions is a battle that House Democrats can – and will – quickly win.